Pervasive delay in courts is one of the biggest problems facing ordinary citizens. In India, delay tends to be blamed on judicial vacancies, and reforms focus on long-term measures to increase the number of judges. A new study by the Vidhi Centre for Legal Policy, however, links delay to existing inefficiencies in court functioning, which can and must be addressed in the short-term. In a first-of-its-kind exercise, the researchers at VCLP read and analysed 8,086 individual orders, from a sample representing all cases in eight case types filed between 2011 and 2015, totaling 1,21,245 cases. The study recorded different types of inefficient behaviour, such as when a counsel or judge is absent, or a counsel seeks an adjournment or additional time. Nearly 60% of court hearings in delayed cases are affected by some kind of inefficiency. This effectively means that 60% of hearings are wasted, since whenever any inefficiency occurs, the work scheduled for that hearing is postponed to the next. There is also an alarming proportion of adjournments, especially in delayed cases. The Code of Civil Procedure, 1908, suggests that not more than three adjournments should be allowed in a case. But the Delhi High Court granted more than three adjournments in nearly 70% of delayed cases. Similarly the Delhi High Court has stressed that costs must be imposed on excessive adjournments. But it did so in only 20% of delayed cases where more than three adjournments were granted, the study finds. As an illustrative example, in 91% of cases older than two years, lawyers sought adjournments. Judges were absent in 51% of such cases. 60% of orders in these cases were effectively wasted, due to a lawyer or judge being absent, adjournments, permissive procedures etc. 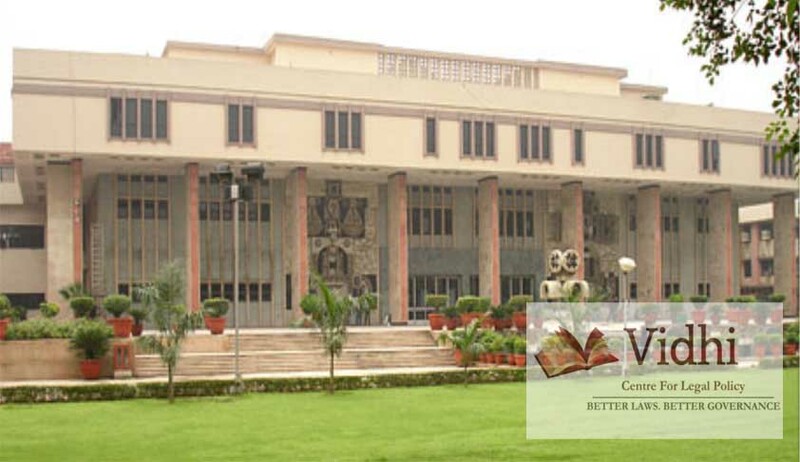 Further, since the Delhi High Court has consistently reported high disposal rates over the last few years, the team studied why certain cases are disposed of extremely quickly. It found that many kinds of cases that are disposed quickly by the Court do not require prolonged adjudication, such as cases that are settled or withdrawn early, or dismissed for non-prosecution or frivolity. These cases skew the Court’s disposal rates upwards but do not tell us much about how speedily the Court can handle a case that requires a full hearing. The report concludes with several recommendations on reducing inefficiency in case proceedings in the Delhi High Court.